A house might just be wood and bricks, but a home should be much more. 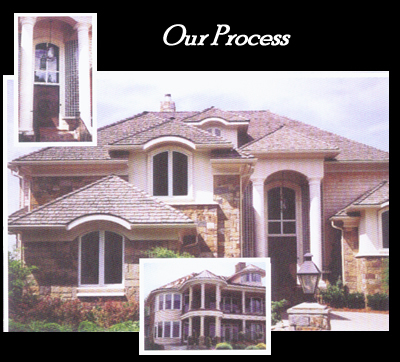 The creation of a custom home begins with a meeting or a phone call. It culminates in a highly personalized design criteria that combines the client's lifestyle with function and aesthetics. It may be created totally from scratch or based upon an existing design. Either way, the result is very much a rewarding collaboration between the client and the designer. 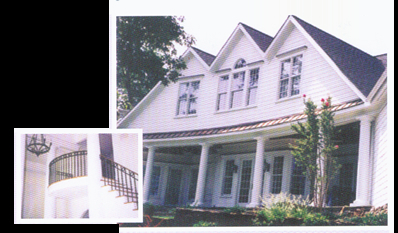 Barfield Designs, Inc. performs extensive site evaluation studies, including surrounding home styles, vistas, and sun orientations. Once these are completed, the design work begins and preliminary plans are produced. Upon client approval, working drawings are made, the design is further developed and ultimately, the final details are completed. In additions, specifications, engineering, landscape plans and HVAC are finalized. After all the elements of the design have been completed, Barfield Designs, Inc. leads the client though the bidding or negotiation process in order to pick the right contractor for each client. Then we follow through the entire construction process acting as the client's agent, enabling the client to have as much or as little involvement in the construction process as they desire. To enable the design and the building of your new home to be an enjoyable experience, start by choosing Barfield Designs, Inc. who will explain the potential problems, solutions and expectations involved in building a custom home. Join the long list of satisfied Barfield clients.